The Israeli Occupation Forces (IOF) on Thursday rounded up three Palestinian students from their school in the West Bank city of Bethlehem. The school secretary affirmed that Israeli forces stormed the Saad al-Aas School in Bethlehem’s town of Al-Khader, amid heavy fire of teargas bombs. The soldiers violently raided the classrooms where they arrested two sixth-graders and a ninth-grader, according to him. The three students were later taken to Etizon military camp to the south of the city for unknown reasons, he added. Lebanese news channel Al Mayadeen reported on Thursday that the coming 48 hours will be crucial regarding the awaited truce between Israel and Palestinian factions in the Gaza Strip. Sources told Al Mayadeen that Head of the Egyptian Intelligence, Abbas Kamel, arrived into Israeli Tel Aviv on Wednesday evening heading an Egyptian security delegation to finalize a one-year ceasefire agreement with Israel before Friday. Israeli official TV channel reported that Kamel might be visiting Ramallah City in the central West Bank in an attempt to convince Palestinian President Mahmoud Abbas to "bless" or praise the truce. Al Mayadeen added that a Fatah movement delegation would not be taking part in coming talks in the Egyptian capital, Cairo, for multiple reasons. Reports also included that Qatar would be paying the salaries of officials in the Gaza Strip together with Egypt, in addition to paying electricity bills of Gaza in cooperation with Israel. The deal would also be including a maritime route between the Gaza Strip and Cyprus under Israeli supervision. Israeli navy forces detained on Thursday four Palestinian fishermen off the Gaza City coast and seized their boats. 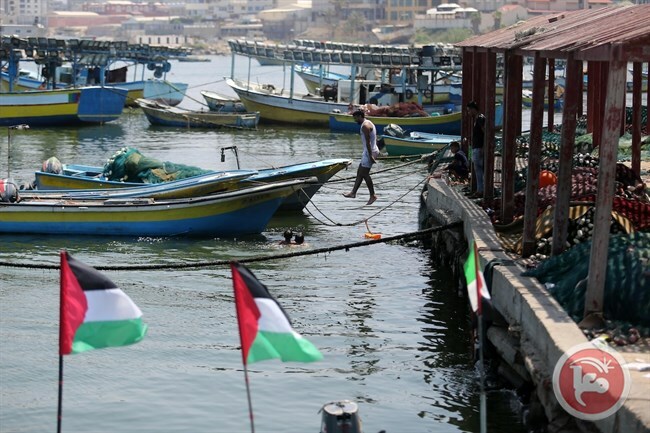 Head of Gaza’s Fisherman Union, Nizar Ayyash, told the PIC that Israel’s gunboats opened fire at the fishermen who were sailing in two vessels north of Gaza’s seashore and towed their boats to Ashdod airport. Ayyash identified the fishermen as Mohamed Ahmed Zayed and his son Tamer, along with Tawfiq al-Sultan and Rafat al-Sultan. The attack comes just one day after the occupation authorities green-lighted the expansion of the fishing zone for Gaza’s fishermen. The Israeli occupation navy continues to target Gaza fishermen on a daily basis, violating the ceasefire accord struck in the wake of the 2014 Israeli offensive on the besieged coastal enclave of Gaza. 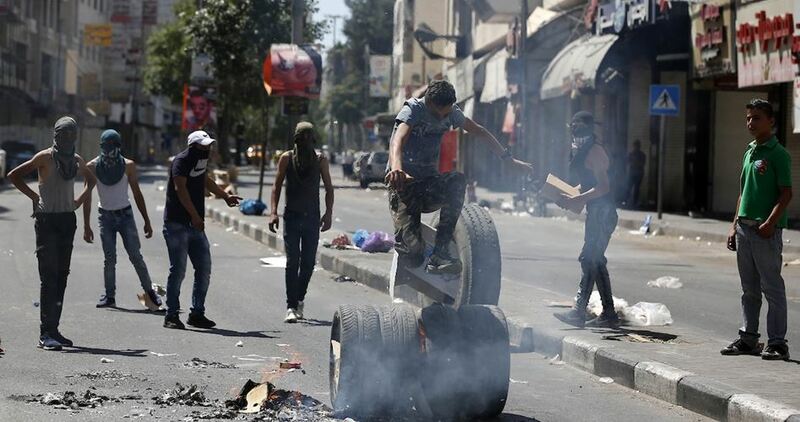 Violent clashes erupted between Israeli forces and Palestinians in central Hebron City, in the southern occupied West Bank, dozens of Palestinians were injured, after a large number of heavy armed Israeli forces stormed the area on Wednesday. Sources added that following the raid, violent clashes erupted in the area between Palestinian youths and Israeli forces, in which youths threw rocks and Israeli forces responded by firing several sound canisters and tear-gas bombs. A Ma'an reporter said that a Palestinian resident was injured in the head with a tear-gas bomb; he was immediately transferred to a hospital for medical treatment. Reports confirmed that Israeli forces fired several tear-gas bombs into a local mall, causing dozens of Palestinians to suffer from tear-gas suffocation. 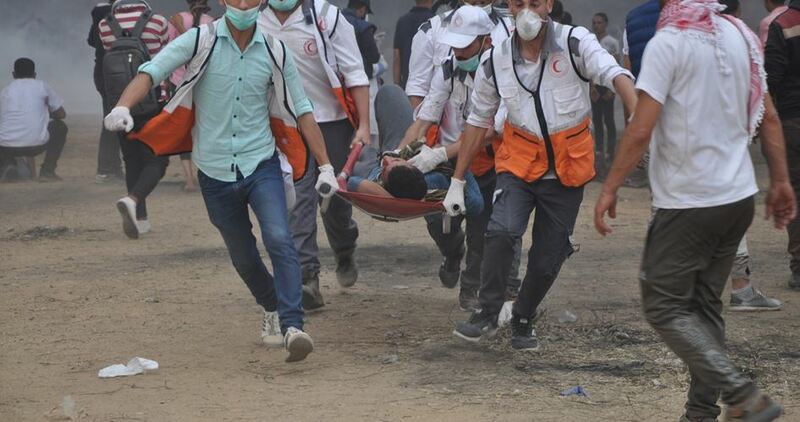 The Palestinian Red Crescent reported that dozens of residents were injured, six of whom suffered from tear-gas inhalation and were treated on the scene, while one resident had to be immediately transferred to the hospital due to a head injury. Many local shops closed during clashes due to tear-gas spreading throughout Hebron City, forcing shop owners and residents to evacuate the area, while Israeli forces withdrew to the al-Shuhada Street. At least 10 Palestinians were injured on Wednesday evening in clashes between the Israeli occupation forces (IOF) and Palestinian youths in al-Khalil city. Hebrew website "0404" claimed that two Israeli soldiers were wounded after being hit with stones during the clashes. Violent confrontations broke out in Bab al-Zawiya area in al-Khalil city where 10 Palestinian youths chocked on teargas and were treated on the field. According to the PIC reporter, two of the injured youths were transferred to al-Khalil Hospital to complete treatment. One of them was directly hit with a teargas canister in the face. The clashes flared up after IOF soldiers stormed the city in large numbers and started to harass the Palestinian citizens who were shopping in preparation for Eid al-Adha. The IOF heavily fired live ammunition, teargas canisters and rubber-coated metal bullets at the Palestinian citizens. 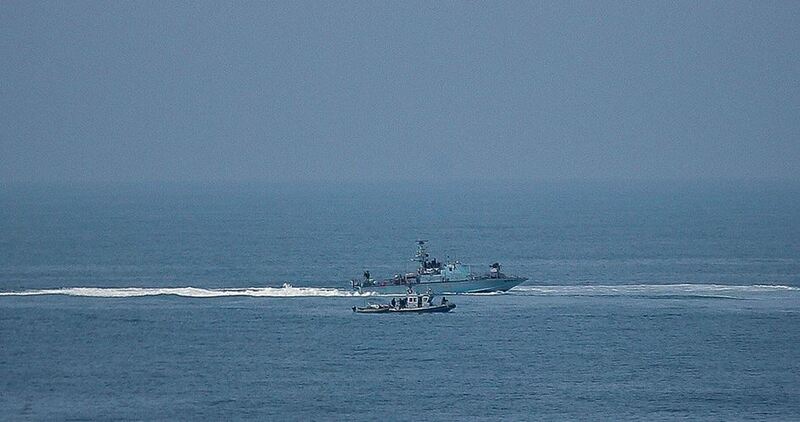 Israeli naval forces on Wednesday morning opened fire at Palestinian fishing boats off northern Gaza shore. Eyewitnesses said that Israeli gunboats heavily opened fire at Palestinian fishermen working within the permitted fishing zone. No casualties have been reported, according to the witnesses. 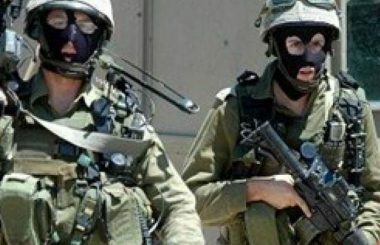 Israeli soldiers abducted, on Wednesday at dawn, six Palestinians, from their homes in Jenin, in northern West Bank, and in Tubas, in northeastern West Bank, the Palestinian Prisoners’ Society (PPS) has reported. The PPS office in Tubas said the soldiers invaded and searched several homes, and abducted Omar Hamza Daraghma and Ibrahim Sameeh Sawafta, from Tubs city, in addition to Islam Abdullah Tubasi, from Tammoun town, south of Jenin. In addition, the soldiers abducted Amjad Abdul-Jabbar Jarrar, Mo’taz al-Hourani Abu Zeid and Aysar al-Jalbouni, from their homes in the al-Marah neighborhood, in Jenin city. The soldiers also invaded Azzoun town, east of the northern West Bank city of Qalqilia, and searched several homes, including the home of a former political prisoner, identified as Aseed Yasser Salim. Furthermore, the soldiers installed roadblocks at the entrances of the Zawiya and Masha villages, west of Salfit city in northeastern West Bank, before stopping and searching dozens of cars, and interrogated many Palestinians while inspecting their ID cards. The soldiers imposed severe restrictions on the Palestinians, and prevented them from entering or leaving two villages, leading a huge traffic jam, before later reopening the roads. 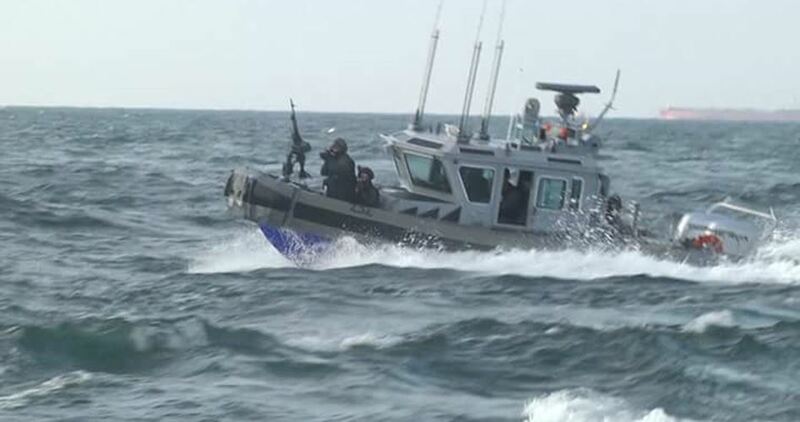 In the Gaza Strip, Israeli navy ship ships opened fire at several fishing boats, in the allotted fishing zone, in Palestinian territorial waters, in northern Gaza. The fishermen had to sail back in fear of further escalation. A medical source said that a child was wounded in the head by shrapnel from a live bullet while he was standing close to the Great March of Return camps east of Gaza. 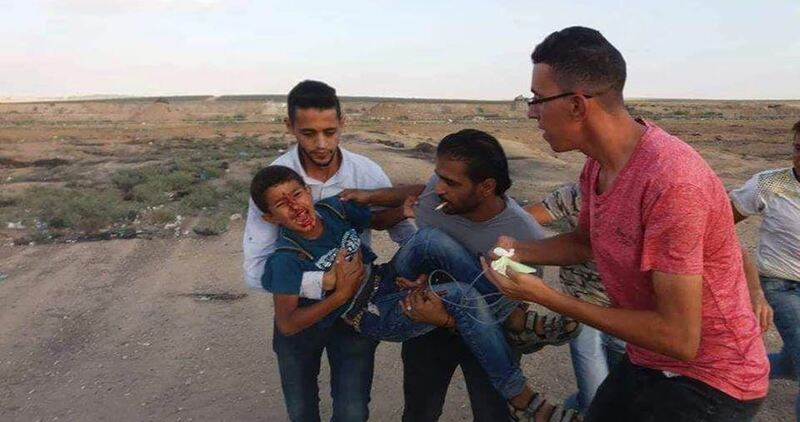 Eyewitnesses said that the child was injured when the IOF heavily opened fire at a group of peaceful protesters near Gaza's eastern border fence. Since the start of Gaza border protests on 30th March, 176 Palestinians have been killed by the IOF and over 18,000 injured. Israeli occupation forces (IOF) on Tuesday demolished a house owned by the Palestinian citizen Mohammed Ali, east of Ramallah. 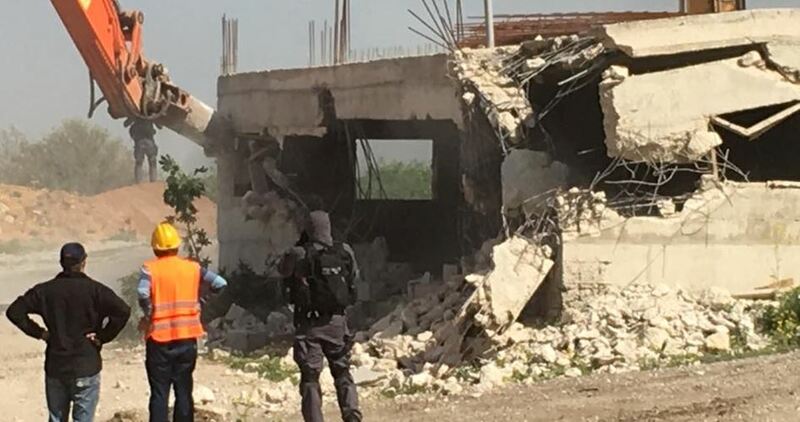 Local sources reported that Israeli bulldozers, accompanied by a large military force, stormed Deir Diwan town and demolished the house for allegedly being unlicensed. In another context, the IOF on Tuesday evening forced four Palestinian families living in Khirbet Yarza, east of Tubas city, to evacuate their homes to make way for Israeli military exercises in the area. According to activist Aref Daraghmeh, the evicted families are not allowed to return to their homes until 6 a.m. on Wednesday. Daraghmeh said that this is the third time that the Israeli forces have expelled Khirbet Yarza families to carry out military exercises where live ammunition and artillery shells are usually used. 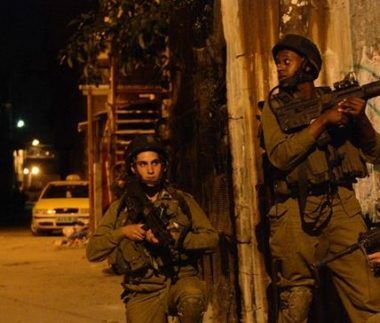 Israeli soldiers injured, on Monday evening, five Palestinians in Beit Ummar town, north of the southern West Bank city of Hebron, and abducted four others in Safa area, northwest of the city. Media sources in Hebron said the soldiers invaded Beit Ummar town, and fired many live rounds, rubber-coated steel bullets and gas bombs at local youngsters, protesting the invasion. They added that the soldiers shot one Palestinian with live fire, and four others with rubber-coated steel bullets. In addition, the soldiers invaded Safa area, northwest of Hebron, and abducted Mohammad Farouq ‘Aadi, 19, his brother Dia’, 22, in addition to Majd Ismael ‘Aadi, 24, and Ghazi Mohammad ‘Aadi, 37. In related news, the soldiers installed a military roadblock at the entrance of Deir Abu Mashal town, northwest of the central West Bank city of Ramallah, and detained a young man. The soldiers also installed several roadblocks near the villages of Burin, Madama and Aseera al-Qibliyya, south of the northern West Bank city of Nablus, before stopping and searching dozens of cars, and interrogated many Palestinians while inspecting their ID cards. Israeli soldiers detained, on Monday at night, a Palestinian child from Ya’bad town, southwest of the northern West Bank city of Jenin, after the army invaded several homes and stores in the town. 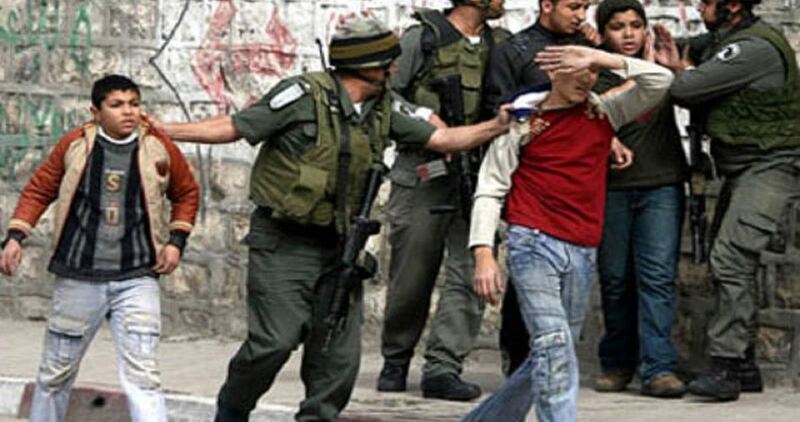 Eyewitnesses said the soldiers abducted Mohammad Bilal Abu Bakr, 15, from the Schools’ Neighborhood, and interrogated him, before later releasing him. They added that the soldiers also invaded and searched many homes and stores in the town, and fired gas bombs and concussion grenades at local protesters. Israeli naval forces attacked a number of Palestinian fishing boats and detained several of the fishermen on Sunday in the northern besieged Gaza Strip. 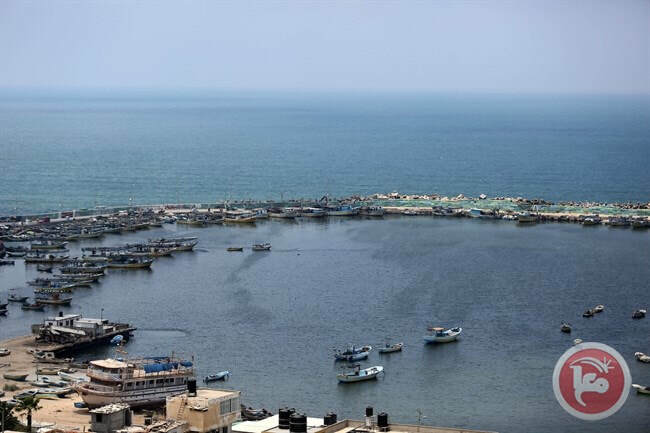 Nizar Ayyash, the boat captain, told Ma'an that the Israeli naval forces fired at the fishing boats and detained five Palestinian fishermen, who were taken to an unknown location. Following the attack, Israeli naval forces confiscated the fishing boats and sailed them towards the Israeli Ashdod seaport. Ayyash identified the detained fishermen as Hassan Fadel Baker and his brother, Nasser, along with his three sons Yasser, Ahmad, and Fadel Nasser Baker. According to Israeli human rights group B’Tselem, Israel’s Gaza siege and “harassment of fishermen” have been “destroying Gaza’s fishing sector,” with 95 percent of fishermen living below the poverty line. Israeli Prime Minister Benjamin Netanyahu claims that the Israeli army is in the midst of a comprehensive military confrontation with the Palestinian factions in the Gaza Strip. He also said that the demonstration by the Arab Monitoring Committee against the Nation-State Law is conclusive proof of the challenges facing Israel. 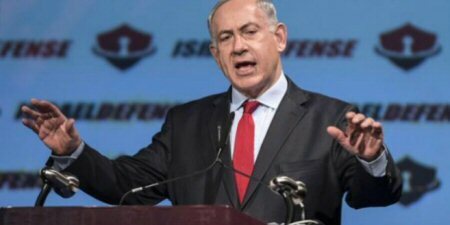 Encouraging incitement among the Arab masses in the country, Netanyahu talked about the demonstrations to remove the Nation-State Law, saying that the protestors want to turn Israel into a Palestinian State. Netanyahu’s remarks came before the cabinet meeting on security and political affairs, which will be held this afternoon. The meeting is in order to discuss military escalation on the southern front and to discuss the ceasefire proposal for the Palestinian factions in Gaza. The Israeli military recommended that it continue its operations and stand ready for any emergency on the southern front, in addition to the continued assault onthe so-called “cells” that fire kites and balloons, at the Gaza envelope. Two Palestinians were injured afternoon on Sunday by the Israeli occupation forces east of Jabalia town, north of the blockaded Gaza Strip. Medical sources said two Palestinians were evacuated to the Indonesian Hospital, north of Gaza, after they were shot by the Israeli military. At least 167 Palestinians were killed and 18,000 other injured in Israeli attacks on the Great March of return protests staged at the Gaza border since March 30.